BAHARIYA OASIS, EGYPT (2 April 2018) — Leaving the surreal world of the White Desert, we returned to the tar road back through the more earthly tones of sand that gave no hint of the mysterious landscapes hidden just beyond the lonely highway. Abdou raised the volume so the music drowned out the sound of the highway and gave us some time to mentally adjust to the return to civilization. When we reached the edge of Bawiti, the main oasis town, it seemed hectic and crowded compared to the freedom of the open desert. Ahmed and Arafat accompanied me for a quick loop around the main highlights of the oasis, starting with the large palmeraie that sits between the hills. 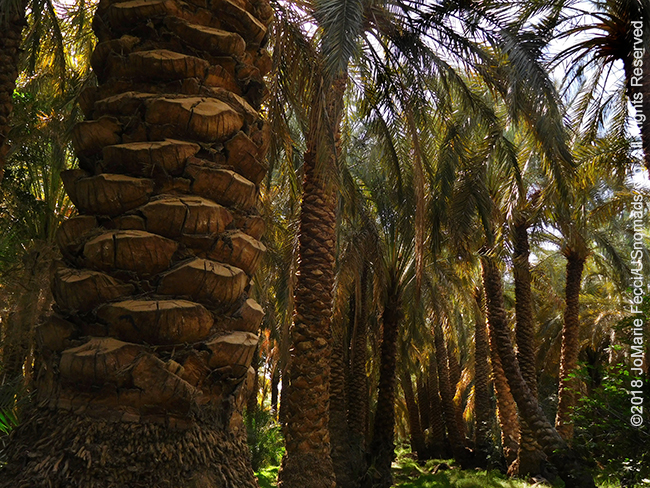 Though it seems like a single plantation, the date palms are owned by many different families, and during harvest time everyone comes out to help. In addition most people have a tract of farm land where they grow various fruits and vegetables. Though surrounded by desert, the area is very green and fertile, with a number of springs as well as two salt lakes. The lakes and surrounding mountains define the topography, making navigation easy. The most prominent peak is a pyramid-shaped mountain called Jebel Dist, where dinosaur bones were found in the early 20th century. It’s odd shape kind of lures you up to the top. There is no way to drive up it, so I climbed up part way, but it started to get steeper and the rock and sand were crumbling under my feet. 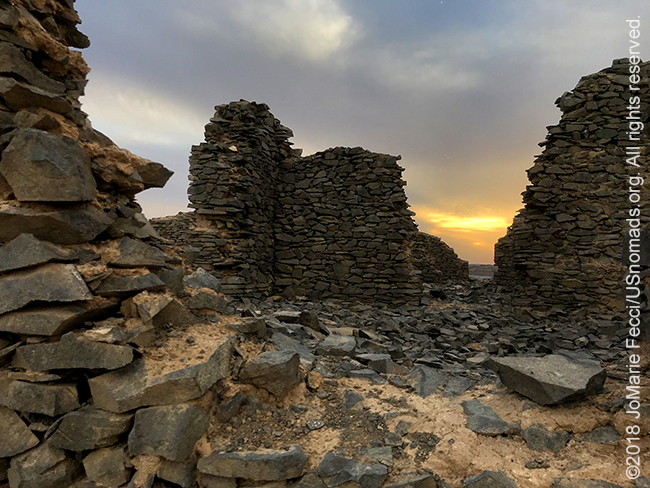 There didn’t seem to be an easy path to the top, so I went back to the truck and headed for Jebel Al Engleez, or “the English Mountain” where the British had set up a lookout point during World War I to monitor the movements of the Libyan Senussi tribesmen.